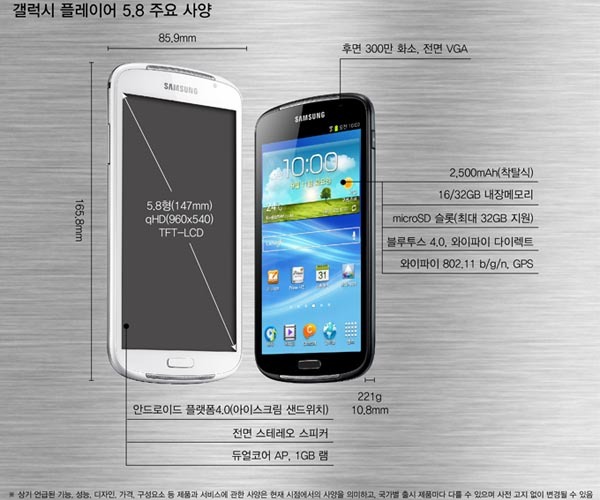 Samsung has announced its latest Android based media player: Samsung Galaxy Player 5.8. If you just want to enjoy your favorite games, videos, apps and chat with friends over WiFi, let’s go on checking the new Android device. 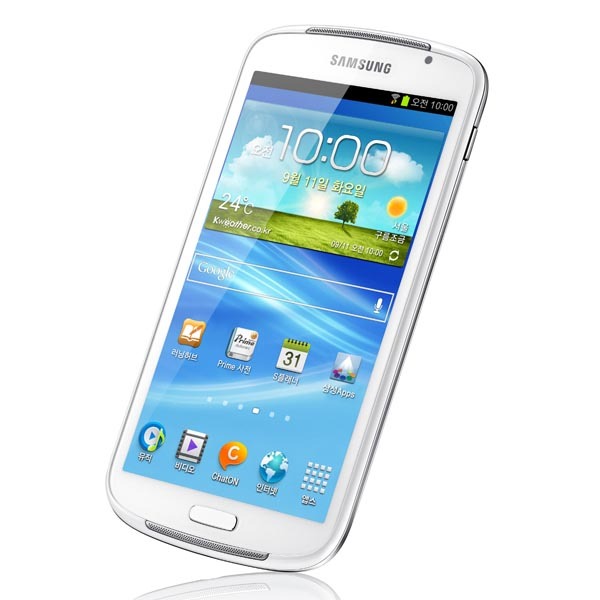 Samsung Galaxy Player 5.8 is a multi functional portable media player that measures 165.8 x 85.9 x 10.8mm and weights 221g. 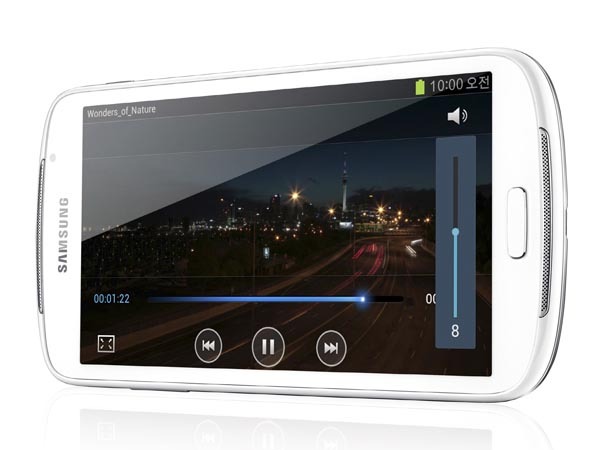 The portable media player runs on Google Android 4.0 Ice Cream Sandwich mobile operating system with Samsung’s TouchWiz and Motion UX interface, and comes with a 1GHz dual-core processor, 1GB DDR2 RAM, 16GB or 32GB internal storage, a 5.8-inch touchscreen qHD TFT-LCD display with 960 x 540 pixels resolution, a front-facing VGA webcam and a 3-megapixel rear camera, moreover, other specs also include WiFi, Bluetooth 4.0, GPS, micro USB, microSD card slot supporting up to 32GB, and 2,500mAh rechargeable battery.